Qinghai Province (qīng hǎi shěng 青海省) is located in the northwest China, the northeast corner of the Qinghai-Tibetan Plateau, which is part of the Qinghai-Tibetan Plateau (qīng zàng gāo yuán 青藏高原). Qinghai Province, at 721,200 square kilometer, is the fourth largest province in China, following the provinces of Xinjiang, Tibet and Inner Mongolia. 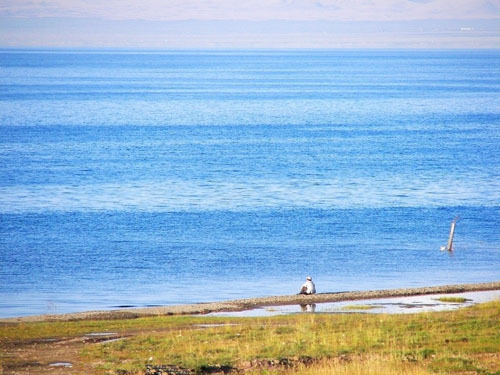 Qinghai has a population greater than 5.5 million, composed primarily of the Han group. However, 46% of the populations including minority ethnic groups are Tibetans, Hui, Tu, Sala and Mongolians. Qinghai Province is a diverse and unique part of China. This magnificent Chinese province is part of what is often referred to as the “Roof of the World”. Its natural beauty and imposing vistas, as well as its diverse cultures and customs, all come together to extend an invitation for visitors from near and far to see for themselves what is available here. Yushu Tibetan Autonomous Prefecture (yù shù zàng zú zì zhì zhōu 玉树藏族自治州), commonly known as Yushu, is an autonomous prefecture of southwestern Qinghai province, Western China. 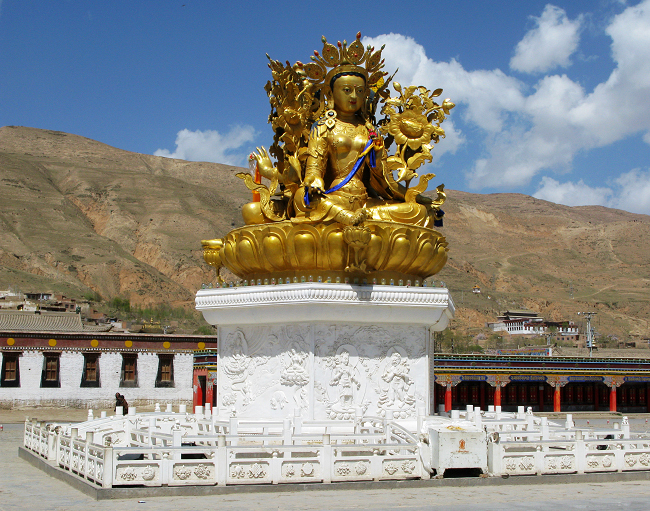 Largely inhabited by Tibetans, the prefecture has an area of 188,794 square kilometers (72,894 sq mi) and its seat is located in the town of Gyêgu (jié gǔ zhèn 结古镇) in Yushu County (yù shù xiàn 玉树县), which is the place of the old Tibetan trade mart of Jyekundo. Yushu prefecture is broken up into 6 counties: Yushu, Nangqian (nāng qiān xiàn 囊谦县), Chengduo (chēng duō xiàn 称多县), Zadu (zá duō xiàn 杂多县), Zhiduo (zhì duō xiàn 治多县) and Qumalai (qū má lái xiàn 曲麻莱县). The official source of the Yellow River lies within the prefecture. Historically, the area belongs to the cultural realm of Kham in eastern Tibet. Hoh Xil (kě kě xī lǐ 可可西里), which means "beautiful girl" in Mongolian, is one of the main sources of the Yangtze River and encompasses an area of 83,000 square kilometers between the Tanggula and Kunlun Mountains in the northwestern part of the Qinghai-Tibet Plateau. It is China's largest and the world's third largest uninhabited area. 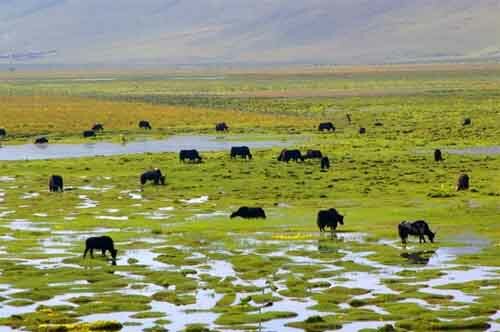 Being the paradise for wildlife and home to more than 230 species of wild animals, Hoh Xil has twenty of them under state protection, including the wild yak, the Tibetan antelope, the wild donkey, the white-lip deer, and the brown bear. Hoh Xil, the last fairyland of wild lives in China, is one of the most primitive and well-preserved natural environment in the world. 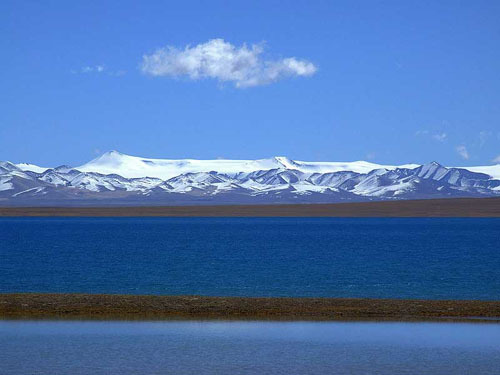 Moreover, it is the largest natural reserve area in China with highest altitude. Because of the high altitude and fierce weather, it is impossible for people to live there, and this is the very reason why Hoh Xil is the paradise of wild lives. Huangnan Tibetan Autonomous Prefecture (huáng nán zàng zú zì zhì zhōu 黄南藏族自治州) is in the southeastern part of Qinghai. It is also located in the first bend of the Yellow River with nine bends. Huangnan is named so because it lies in the south of the Yellow River. Huangnan prefecture enjoys long history of national religion and culture. It has rich ethnic folklore and abundant resources of humanistic tourism. Originating in the Longwuhe River (lóng wù hé 隆务河) Valley of Qinghai Province which belongs to Tongren County (tóng rén xiàn 同仁县) of the Huangnan Tibetan Autonomous Prefecture (huáng nán zàng zú zì zhì zhōu 黄南藏族自治州), Regong art (rè gòng yì shù 热贡艺术) is a successful mix of religious art by Tibetan and Tu ethnic minorities and local folk arts. To better protect the art, it was included in the second phase of the National Folk Culture Protection Project in April 2004. As an important genre in Tibetan Buddhism, the art has a history of more than 700 years. 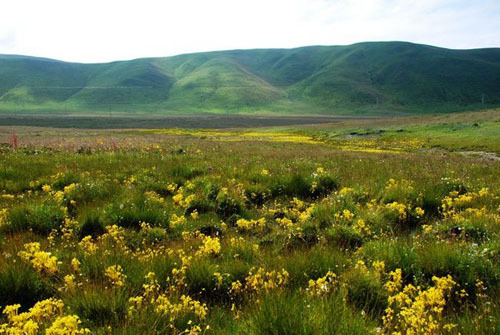 It is called “the flower on the Tibetan Plateau” and “a magnificent pearl of Chinese art”.